Gillum-Waddell Plumbing, Co. Inc. Sewer Line Inspections - Gillum-Waddell Plumbing, Co. Inc.
Our expert and courteous team can pinpoint your plumbing problem without tearing into your floor or walls, without tearing up your yard, sidewalk or driveway. 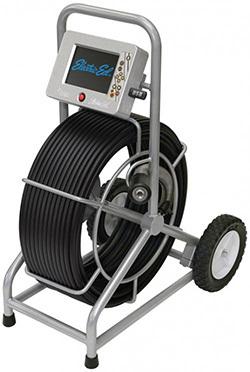 We have the latest in video sewer technology with color inspection cameras and locating equipment for any sewer or plumbing problem that arises. If you are having repeat service calls to unstop your sewer line, or if you are not sure of the location of your line, the video camera is a must. We can camera your line to determine why you are having repeated problems, the camera will remove all of the guesswork, and show you the problem on a DVD. The camera has transmitters that will show the depth and location of your line. Buying a new home or property? The video camera is a must, it will show the condition of the pipe, if it is graded property, and the location of the pipe.